Yesterday, we finally got our Christmas tree up. In the past, I've shared various ornaments we hang on the tree each year for our pets. 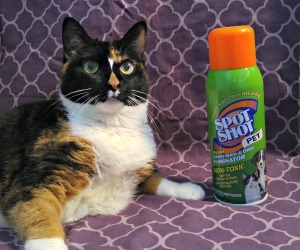 Most of the pets have long since passed on, but looking at their Christmas tree ornaments brings back good memories. Shiner, has a couple of different Christmas tree ornaments hanging on the tree herself. 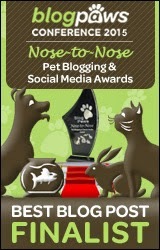 In fact, last year she was sent her very own personalized dog bone ornament from Marked Moments. 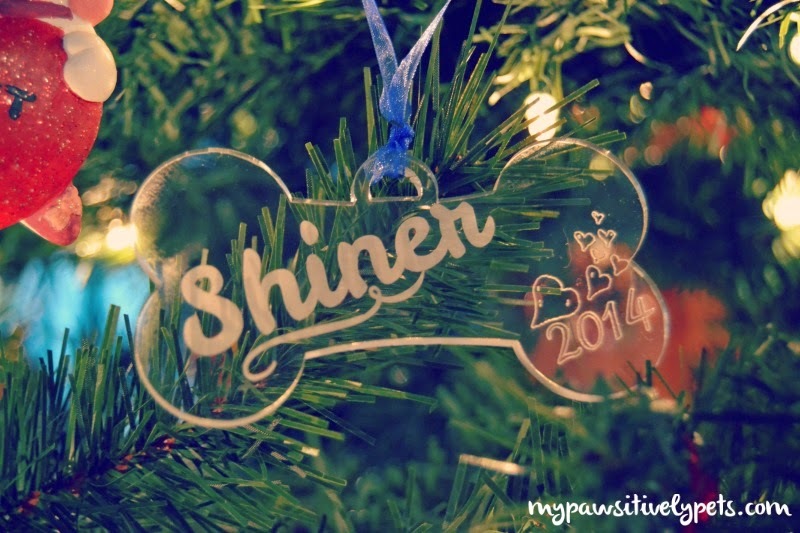 You can read about Shiner's first Christmas tree ornament from last year here. It's hanging on our Christmas tree again this year. 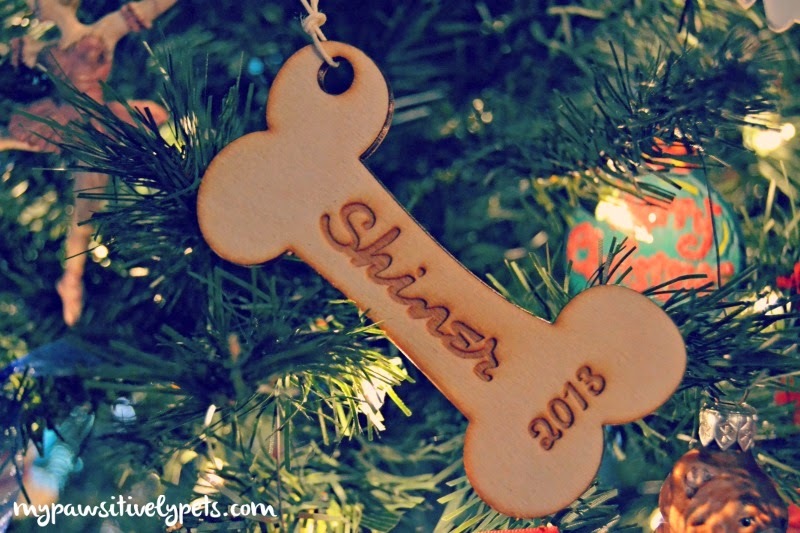 This year, Marked Moments was kind enough to send over another personalized dog bone ornament for Shiner. The ornament is made from acrylic, which I kind of like since I don't have to worry about it breaking. It's handmade and includes Shiner's name, a few hearts, and the year on it. It looks great hanging on our Christmas tree! Marked Moments creates lots of personalized engraved items that make great gifts. They are based in Austin, TX just like us. Marked Moments create other engraved items for humans too, so check them out if you're looking for a special gift for someone. You can visit Marked Moments on Etsy here. 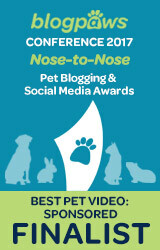 Do you hang ornaments for your pets on your Christmas tree? Nice idea. Have a marvellous Monday. We sure do! Last year we purchased some wooden dog ornaments that have circles in the middle for pictures of our pooches. We even got to paint them, and did we ever get creative! It was so fun creating this special ornaments and brings us such joy to see them hanging on our tree. Such neat additions to have pet ornaments! I'm a sucker when it starts with "personalize" I too like the acrylic look. The hearts are a super sweet touch too! I still haven't gotten my tree up yet - got get going huh? Mom hangs the cheap stuff on the bottom half because tails often send them flying or cats like to take them down...not that she wants that to happen, but that is the only ornamental thing she does for us pets. Well, our first ornament broke today but it was just a ball. It was the human baby's fault. I have to watch out for her! These are adorable. I want to get Mauja and Atka personalized ornaments. I'll have to look into these! We have personalized ornaments for most of the pets, past and present, except yesterday when decorating the tree I realized we don't have one for Luke yet! He came so close to Christmas last year that I guess I never got one. I'm going to go check these out now! Some of the pet ornaments I have also don't have names on them and are just dogs. Those are very cute. We have chessie ornaments and a couple with our dogs names on. Those ornaments are great! A perfect keepsake.